Buffalo-NiagaraGardening.com > Uncategorized > Tell your gardening friends– Subscribe for a chance to win a great prize package! 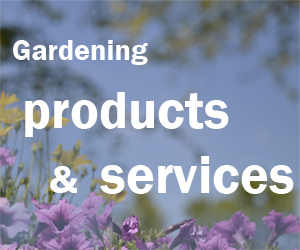 Tell your gardening friends– Subscribe for a chance to win a great prize package! I need your help today. I want to find new subscribers for Buffalo-NiagaraGardening.com, the online gardening magazine for Western New York, so I’m holding a contest and offering great prizes for gardeners. Please help me spread the word by emailing this information to a friend. Or share it on on Facebook, Pinterest, LinkedIn, Twitter or your favorite social media. Or pick up the phone and call a relative. Or mention it to a coworker. If you’ve been reading Buffalo-NiagaraGardening.com for awhile, you’re my best ambassador. You can tell others about the helpful gardening tips, the entertaining stories, the full-color photos, the how-to videos and the huge, up-to-date list of gardening events for Western New York that you find right here every week. People can enter for the chance to win a prize package valued at more than $200 simply by subscribing to Buffalo-NiagaraGardening.com. Don’t forget to mention that it’s free to subscribe! And because I value my longtime readers, if you have already subscribed, you are already entered in the contest! Three winners will be selected at random from our list of subscribers. The deadline to enter is Tuesday, March 31, 2015. The prizes have been donated by our four Premium Partners: the Buffalo and Erie County Botanical Gardens, Mischler’s Florist and Greenhouses, Lockwood’s Greenhouses and Goodman’s Farm Market. 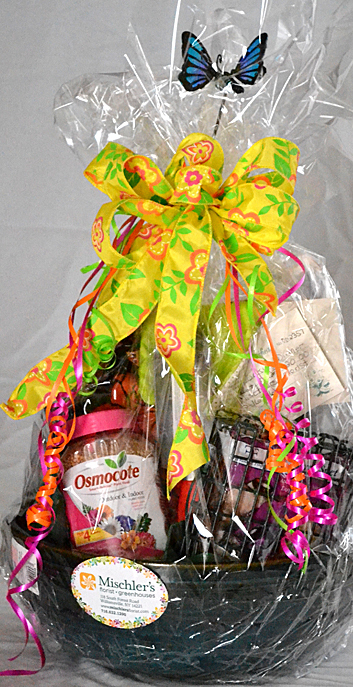 A wonderful gift basket from Goodman’s Farm Market, 2227 Cayuga Dr. Ext., Niagara Falls. 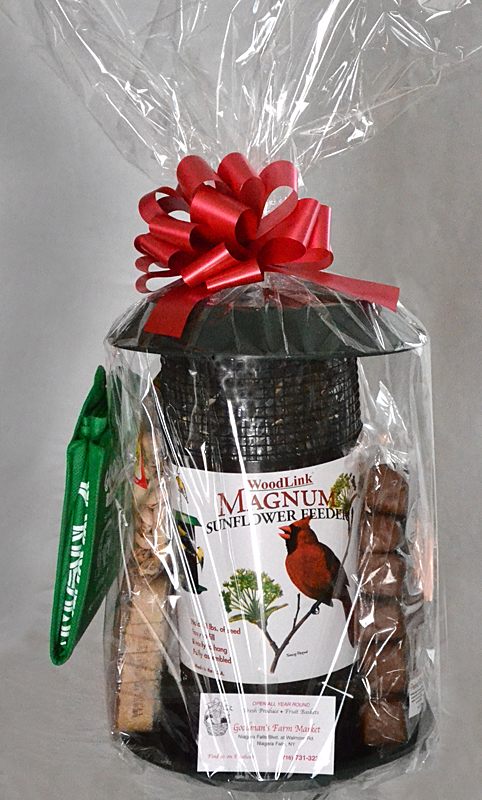 It includes sweet treats for humans as well as a bird feeder and food for our feathered friends. 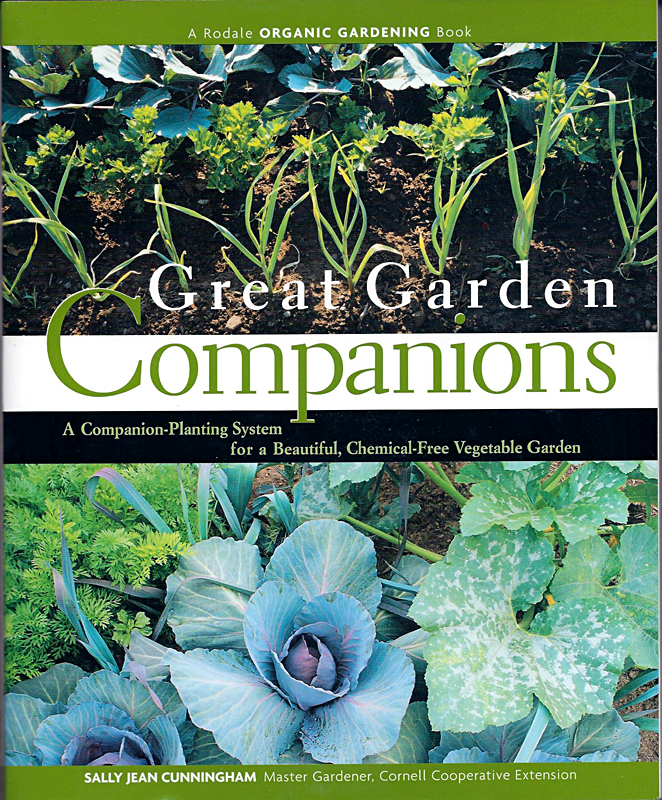 A signed copy of the book Great Garden Companions by local gardening expert Sally Cunningham. Her book will show you how planting special combinations of vegetables, flowers, and herbs can minimize pest and disease problems and create a high-yielding, beautiful garden. You’ll also receive a $30 gift certificate from Lockwood’s Greenhouses, 4484 Clark St., Hamburg. 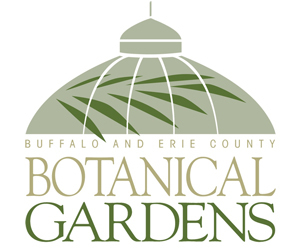 A one-year family membership to the Buffalo and Erie County Botanical Gardens. 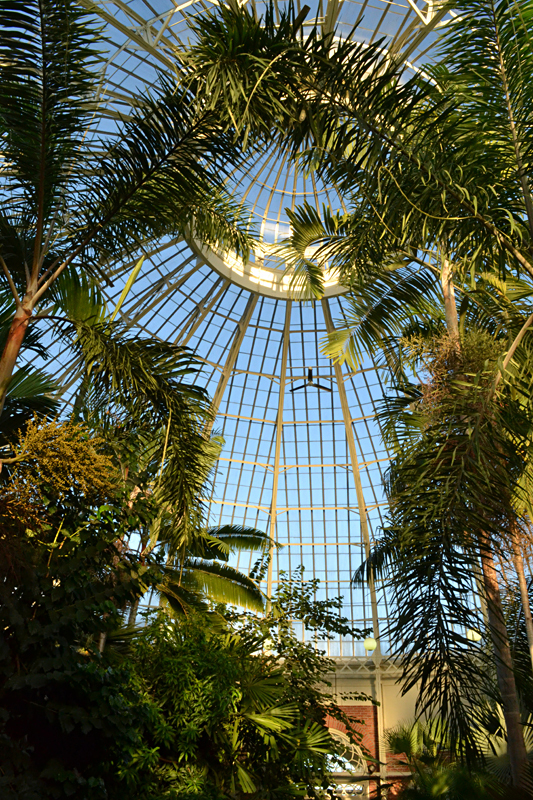 If you are already a Botanical Gardens member, your membership will be renewed. A lovely gift basket for the gardener and a $20 gift certificate from Mischler’s Florist and Greenhouses, 118 South Forest Rd., Williamsville. There will be three winners and each winner will receive all of those prizes: the two gift baskets, book, gift certificates and membership! Please tell your gardening friends to subscribe today so they’ll be entered in this fabulous contest, too! 1. To enter, subscribe to Buffalo-NiagaraGardening.com. If you are already subscribed, you are already entered. 2. The last day to enter is Tuesday, March 31, 2015. 3. The winners will be chosen by random on Wednesday, April 1, 2015 from all subscribers who meet the qualifications. 4. To qualify, the entry must include a working email address. If the email address is a nonexistent address, if Constant Contact is blocked by the user, if the user’s mailbox is full or if there is some other impediment to the user being reached by Buffalo-NiagaraGardening.com via email, the entry will be disqualified. 5. If you are chosen as a winner, you will be notified via email by Buffalo-NiagaraGardening.com. 6. You must respond to the email by Monday, April 6 to let us know that you have received the notification and are prepared to pick up your prizes. If we don’t hear from you by midnight April 6, 2015, we will choose another winner. 7. We will ask you to respond with your name and the town you live in so that we can use your name and town in an article in an upcoming edition of Buffalo-NiagaraGardening.com announcing that you were a winner as well as in other promotions. Winners must agree to the use of their names and town for promotion purposes. We won’t share your email address. 8. You must pick up your prizes at Mischler’s Florist and Greenhouses, 118 South Forest Rd., Williamsville, NY; Goodman’s Farm Market, 2227 Cayuga Dr. Ext., Niagara Falls, NY; Lockwood’s Greenhouses, 4484 Clark St., Hamburg, NY, and the Buffalo and Erie County Botanical Gardens, 2655 South Park Ave., Buffalo, NY. Prizes must be picked up no later than Friday, May 8, 2015. 9. Each winner will receive a gift basket for the gardener and a $20 gift certificate from Mischler’s Florist and Greenhouses, a gift basket from Goodman’s Farm Market, a copy of the book Great Garden Companions by Sally Cunningham plus a $30 gift certificate from Lockwood’s Greenhouses, and a one-year family membership to the Buffalo and Erie County Botanical Gardens. Each of the three prize packages is worth approximately $200. 10. All taxes relative to the prize package are the sole responsibility of the winner. No prize substitutions, assignments or transfers. No cash equivalents. 11. No purchase is necessary to enter or win. All federal, state, local and municipal laws apply. Void where prohibited. 12. The contest is open to everyone with the exception of employees of Buffalo-NiagaraGardening.com, Mischler’s Florist and Greenhouses, Goodman’s Farm Market, Lockwood’s Greenhouses and the Buffalo and Erie County Botanical Gardens. 13. This contest is sponsored by Buffalo-NiagaraGardening.com. By participating, all entrants acknowledge and agree that they have entered the contest of their own free will, that the full rules and details of the contest have been made available to them in writing and they therefore understand and agree that Buffalo-NiagaraGardening.com, Mischler’s Florist and Greenhouses, Goodman’s Farm Market, Lockwood’s Greenhouses, the Buffalo and Erie County Botanical Gardens, their agents, affiliates, sponsors, representatives or employees do not have any liability with respect to any damages out of acceptance and use of a prize. By entering this promotion, participants agree to be bound by these rules.